We want to start with a huge Fable thank you to all the fans who’ve participated in the Fable Legends closed beta so far and continue to help us make Legends the best game we can possibly make. Tipple is raising an ale in your general direction. We’re excited to invite an additional 100,000 fans to the Fable Legends closed beta over the next few weeks, prioritising those that have been waiting the longest. If you want to get in on the closed beta, sign up at FableLegends.com. 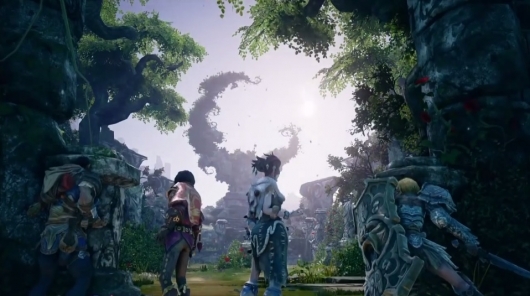 Fable Legends is coming together well and it’s a lot of fun. But we think that we can make it even better. So we’ve decided to extend our closed beta to continue to listen to feedback from our players and add features and polish that will make a real difference. This means Fable Legends won’t release into open beta this holiday as previously announced. We realise this may be disappointing for those of you not currently playing, so we wanted to tell you why. To be honest, we didn’t anticipate just how big Fable Legends is becoming. It’s simply the most ambitious game we’ve ever created at Lionhead. We’ve built a unique and innovative multiplayer experience combining RPG and RTS gameplay which allows you to play, and use your gear seamlessly, across Xbox One and Windows 10. On top of this, we’ve built a beautiful new world full of grand stories and adventures. And it’s taking more time than we thought. The team is working exceptionally hard and we’re proud of how far the game has come. We’re operating our closed beta 24/7 and have added lots more features, quests, creatures, and heroes to play. Hundreds of thousands of fans have participated in the beta so far, and we can’t wait to open it up for all of you to play. To achieve our aspirations for Fable Legends, we’ve moved our open beta release to spring of 2016. So to all of you who have been playing in our closed beta, and to all of you who have been waiting patiently for the game to release into open beta, we want to thank you on behalf of everyone at Lionhead. Enjoy the festive season and we’ll see you in Albion soon.